With bells and sirens, Heal the Ocean also welcomes Santa Barbara County Fire Chief (ret) Eric Peterson, to Heal the Ocean's Advisory Board. 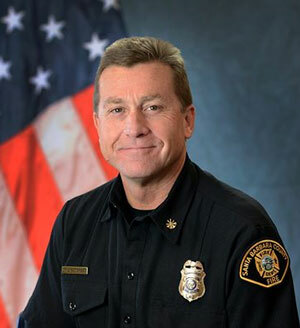 Peterson had been with County Fire for 32 years before he retired in 2018, making him a veteran of the Painted Cave, Zaca, Tea, Jesusita, Gap, Sherpa, Alamo, Rey, Whittier, Thomas, and Holiday Fires. With fire being the "new normal" for California, environmental issues come up for the handling of these disasters, and Eric Peterson's skill, leadership, and experience will help us with no-nonsense environmental decision-making on these issues. Thank you, Eric!